5T. «HORUS» Box with 72 briquettes of shell coconut for shishas (waterpipe). Approximate weight: 1Kg. - CIAF, S.L. > SMOKERS>HORUS>5T. «HORUS» Box with 72 briquettes of shell coconut for shishas (waterpipe). Approximate weight: 1Kg. 5T. 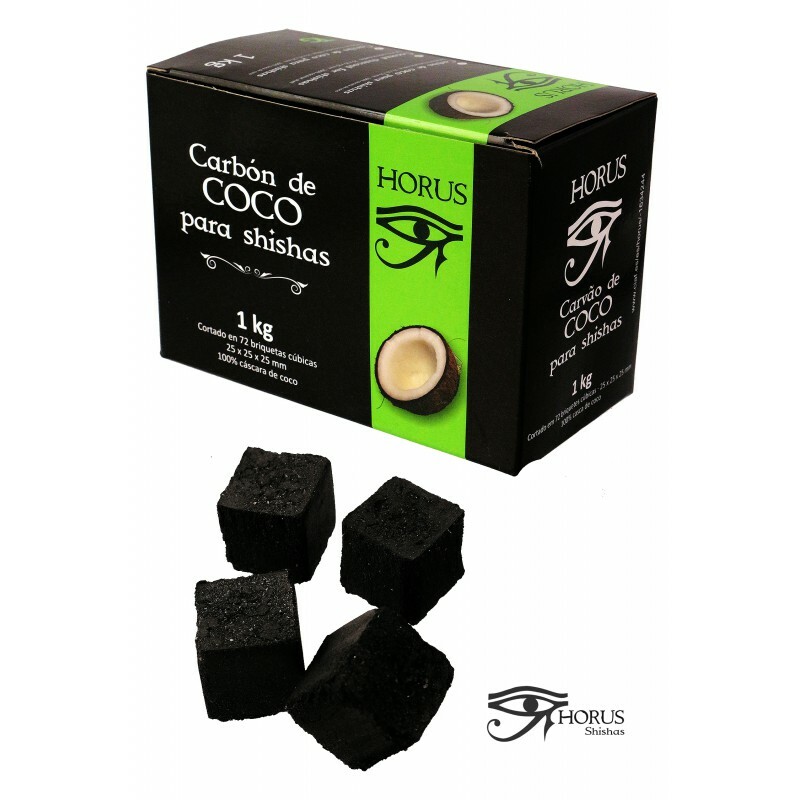 «HORUS» Box with 72 briquettes of shell coconut for shishas (waterpipe). Approximate weight: 1Kg. Slow burn of shell coconut charcoal (long duration). Start with a turbo lighter, or warm up before using a stove.